My wife sorts Blueberries after a harvesting session in the woods 6Kg’s! 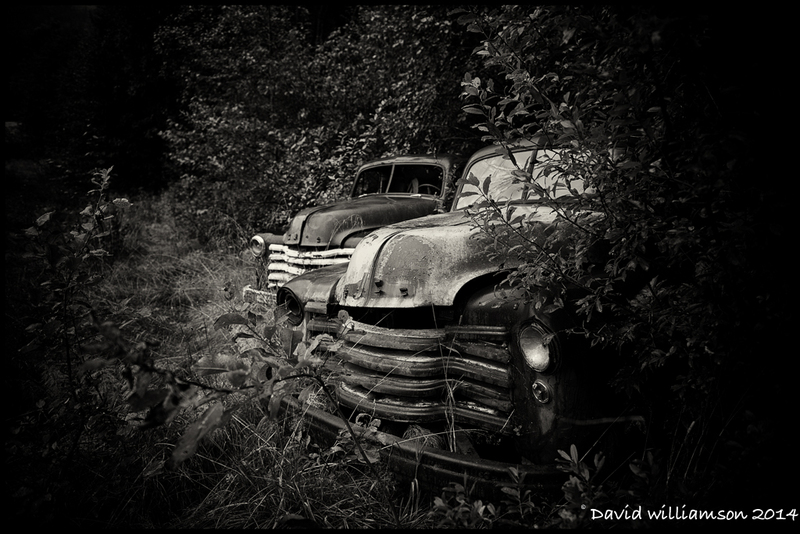 These two Chevys reside at the edge of the woods on my Brother-in-Laws farm. They are restoration projects waiting to happen . No doubt they will get the treatment they deserve soon as he is in the process of building a gas station with period pieces on a plot by the outbuildings. I hope he completes it at some point. It would be a shame to see these vehicles go to waste. Lens : Summilux 35mm f1.4 asph. Post : Silver Efex Pro 2 and a little PS. Not Paris France but Greece. …his other tractor is a Porsche. My Brother-in-Laws’ other tractor is this wonderful Porsche Allgaier diesel.